Johan Santana Has Thrown a No-Hitter! 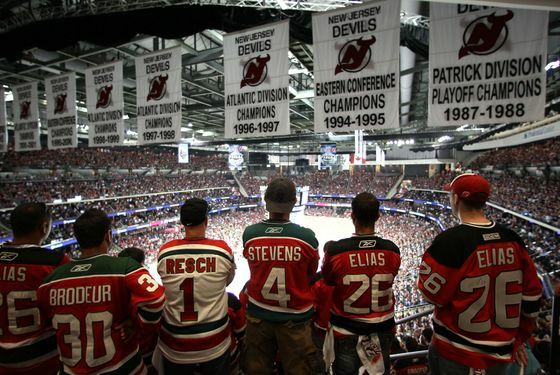 Last Friday, the Devils beat the Rangers 63 seconds into overtime of Game 6 to advance to the Stanley Cup Finals for the fifth time. The Kings had already advanced out of the Western Conference, and on Wednesday night, Los Angeles took Game 1 in overtime on an Anze Kopitar goal. (Contrary to what you might have heard, the Islanders weren't involved in any way.) Rangers fans, meanwhile, had no choice to but to look ahead to next season, which we learned today they'll likely begin without Marian Gaborik. But what happened this week that didn't involve action verbs? The Yankees lost two of three to the Angels. In their one win, Russell Martin got into a bizarre feud with home-plate umpire Laz Diaz. The Mets lost two of three to the Phillies. The Heat won the first two games of their Eastern Conference Finals series against Boston. The Spurs, meanwhile, beat the Thunder in the first two games of the Western Conference Finals before seeing their twenty-game winning streak snapped in Game 3. J.R. Smith organized a nocturnal bike ride through the streets of Manhattan with some of his Twitter followers. And we looked at the five guys drafted ahead of Derek Jeter twenty years ago today in the 1992 MLB Draft.